As the Dairy Industry continues to evolve, there is a trend emerging for feeding on large operations: Feed Pantries. Also called feed centers or TMR centers, these “pantries” house TMR ingredients and are where the mixing takes place. Feed Pantries are often in their own, enclosed building. Most of the work is handled mechanically or electronically to save on time and labor. The ingredients are close together, so only one operator is needed. If feed is in a silo, the unloader can run ingredients onto a conveyor that dispenses into a vertical mixer. An operator can load other ingredients by skid steer into the mixer and have it run. 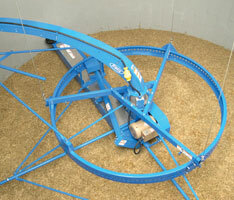 If using stationary mixers, the mixers can unload into a feed truck to be delivered into the barn. Or, they can discharge onto a belt feeder or chain & flite conveyor that moves the feed and disperses it over the feed bunk evenly. 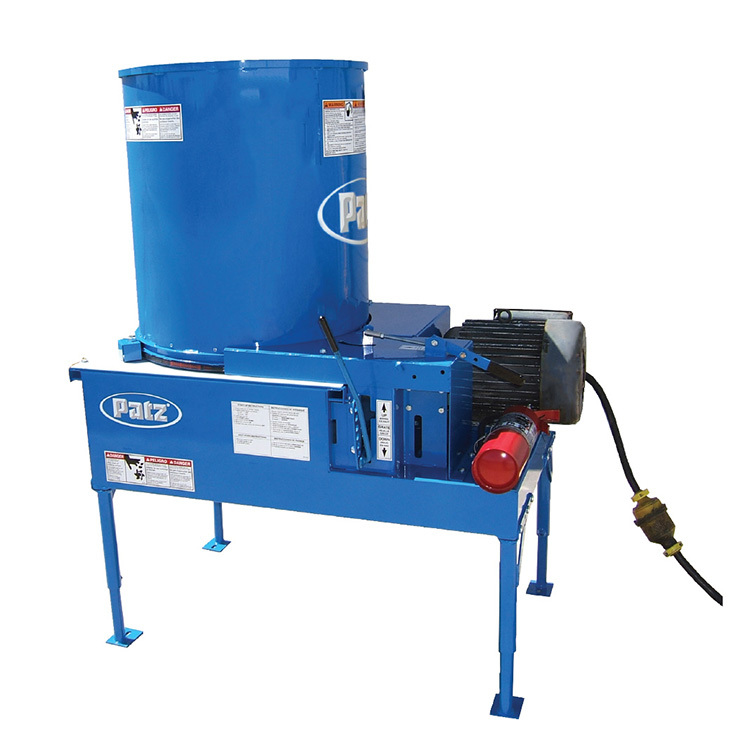 If using trailer vertical mixers, the mixers can then take off and deliver feed before returning for another ration if needed. 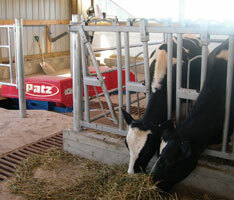 Multiple mixers can offer several rations being mixed at once (for fresh, dry, and heifers). It is important to note that the traffic flow in and out of the building for deliveries and feeding should be considered to prevent “backups”. Since the building is supposed to be enclosed, it is important to have proper ventilation for the dust particles for employee health safety but also as a fire hazard. 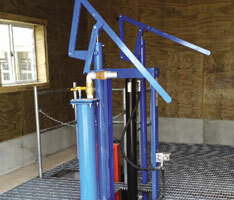 When updating your operation, adding a Feed Pantry is a possibility to seriously consider. There are several benefits to making the initial investment. Shrink: A number many are familiar with but nearly impossible to measure, shrink is what you put into the silage pile (or silo) vs. what ends up being fed to the animals. This “invisible cost” covers the resources lost due to pests, weather, and wind. Silage can blow out of a loader onto the ground before it hits the mixer. Excessive snow or rain can lead to the molding of silage, which renders it unusable. Storing ingredients indoors prevents shrink from occurring. Speed: The great thing about Feed Pantries is that they can be automated to minimize manual labor. Silage can be unloaded from a silo onto a conveyor directly into the mixer. 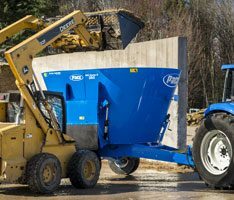 Since all ingredients are in one location, loading with a skid steer is quick and easy. Most processes can be scheduled in advance and just require the push of a button. Consistency: With a more efficient system, the same person can mix the TMR batches, which means they are more consistent. The moisture content of the ingredients is also more controlled since they are inside and not exposed to the elements, so the weight will remain the same throughout the year.